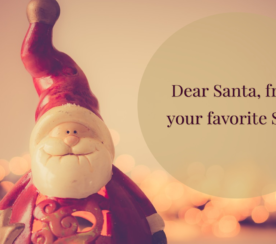 Happy Christmas Eve SEJ readers! 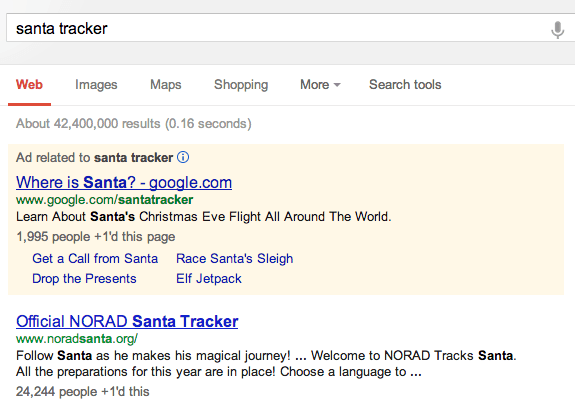 Like many other search & tech blogs, we’ve been doing write ups on NORAD Santa Tracker for years. This year however is a little more special than usual. Why? Well, there are two reasons. The first and most important reason is that my son is now 2 1/2 and has a pretty good understanding of geography and is starting to grasp Santa Claus. It’s his first Christmas and I’m highly looking forward to hopefully grabbing 3 minutes of his attention away from his cousins and Thomas the Train set to check in on where in the world is Santa. Secondly, this marks the first year that there is a split in the world of Maps powered Santa Tracking – with NORAD now joining forces with Bing and Google launching their own version of their own Google Santa Tracker; complete with games. How does one choose between the traditional & official tracking of Santa by NORAD (with Bing) and then Google (which has powered online Santa Tracking for years) going rogue with their own version? Let’s just all be thankful that NORAD & Santa did not partner with Apple Maps, or a lot of kids might be getting the wrong presents this year. In 1955, a Sears department store in Colorado Springs made a major mistake. The advertisements it placed around town included a telephone number for the one and only Santa Claus. However, the number given actually belonged to the Continental Air Defense Command (CONAD) Center. Instead of dismissing the calls, Colonel Shoup ordered his staff to give everyone that called a “current location” for Santa Claus. When the North American Aerospace Defense Command (NORAD) replaced CONAD in 1958, the tradition remained. And the rest, as they say, is history. NORAD has always employed various forms of media for the NORAD Tracks Santa Program. Traditional means, such as a telephone hotline, newspapers, radio, phonograph records, and television, have been used since the beginning. However, as technology has evolved into more advanced forms, NORAD’s tracking has as well. While it still receive telephones calls, some 70,000 telephone calls from more than 200 countries and territories, NORAD has also increased its presence on the Internet. While the website for the NORAD Tracks Santa has undergone improvements, it’s been around since 1997. In 2004, NORAD partnered with Google and begun using Google Earth. Once on the NORAD Santa site, visitors were given a download link for Google Earth and then a Keyhole Markup Language (KML) file to download, which was no longer needed by 2009. Since that same year, the tracking has been done exclusively on the NORAD site. In 2011, an iOS and Android application was first introduced. These apps featured updates and an interactive game similar to Angry Birds. However, the 25 million people who will be tracking Santa will see a major change in the NORAD Tracks Santa Program this year. NORAD and Google have parted ways. 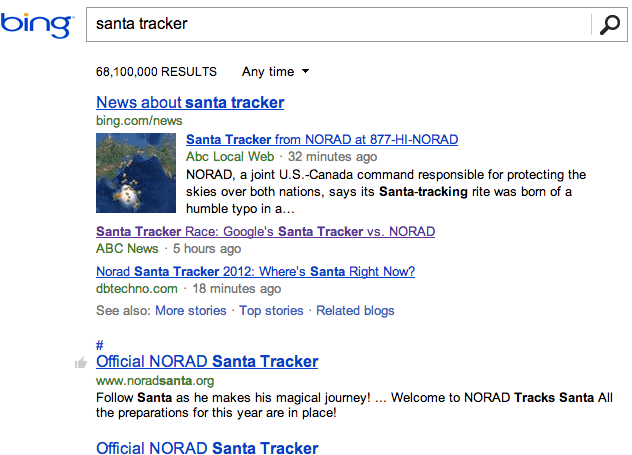 This year, NORAD will be using Microsoft’s Bing. The site will run Microsoft’s Windows Azure cloud-computing platform and Bing Maps. NORAD will also offer Windows 8, Windows Phone 8, and Android Santa-tracking apps. While NORAD doesn’t necessarily need help tracking Santa, they’ve been doing so for 62 years with “four high-tech systems to track Santa—radar, satellites, Santa Cams and fighter jets,” it’s still a curious move. 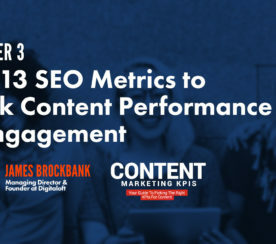 From an International perspective, in the United Kingdom, for example, Bing’s market share is a mere 4 percent, compared to Google’s impressive 89 percent. But, don’t expect Google to just step aside from tracking Santa this Christmas. The company will be tracking Santa on their own. In a blog post by Brian McClendon, VP of Google Maps and Google Earth, this is what Google has in store. 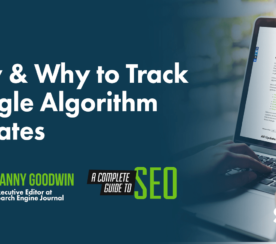 The search giant’s tracking program will include a Santa Tracker website, a new Chrome extension, or an Android app and Google+, Facebook, and Twitter pages. While there’s been no official reason NORAD and Google split, it’s been reported that it was mutual. 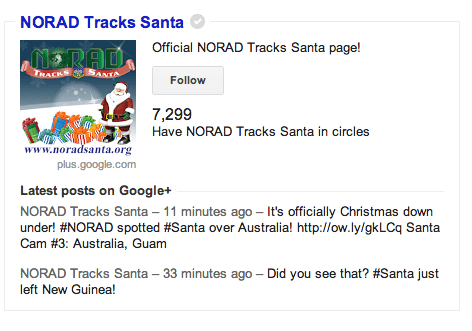 Regardless, it should be interesting to see which Santa tracking program prevails and if NORAD and Google will someday work together again (hence the placement of the Google+ page!). 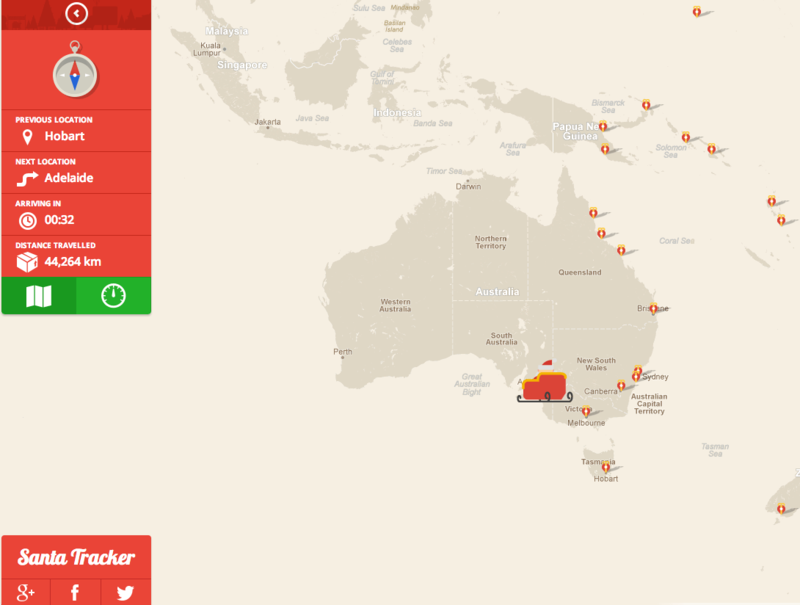 Which Santa Tracker will you be using? NORAD powered by Bing? 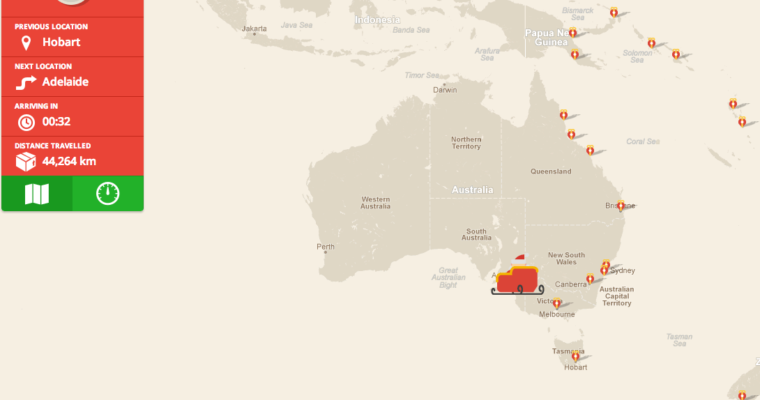 Or Google Santa Tracker?